Habitat - Hammocks, upland woods, thickets, bogs. Other information - This attractive species can be found scattered throughout most of Alabama. 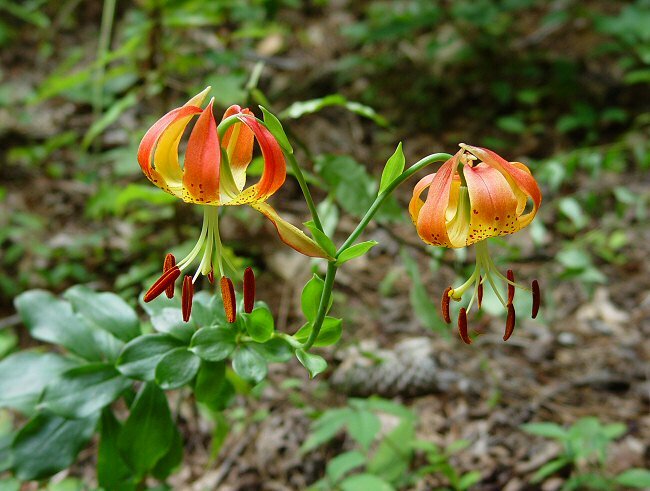 The plant can be identified by its striking orange-red flowers and whorled, oblanceolate leaves. The lowest and most apical leaves are typically alternate, however. 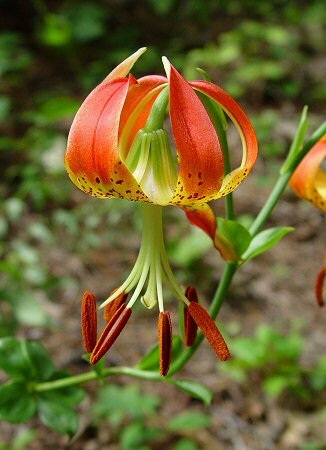 The genus name Lilium is the classic Latin name for the genus. The species epithet michauxii is given in honor of French Botanist Andre' Michaux (1746-1802). 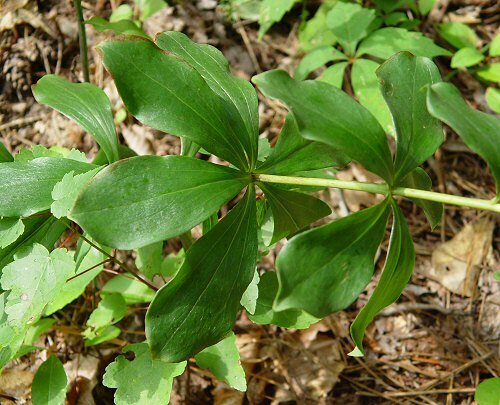 Michaux discovered this and many other plants during his travels through North America. He is probably the most prolific botanist next to Linnaeus. Photographs taken off Hickory Rd. near Lake Martin, AL., 8-12-05.